Space Station Remote Manipulator System (SSRMS) | Cosmonaut Oleg Artemyev: "The giant 'hand' of our space house or, in other words, SSRMS, which in translation means 'remote manipulator of the space station.' He has a lot of names, but he always has the same role: moving equipment, helping astronauts when working in open space, he also 'catches' the cargo ships Dragon, Cygnus and HTV to the ISS." The Mobile Servicing System (MSS), is a robotic system on board the International Space Station (ISS). Launched to the ISS in 2001, it plays a key role in station assembly and maintenance; it moves equipment and supplies around the station, supports astronauts working in space, and services instruments and other payloads attached to the ISS and is used for external maintenance. Astronauts receive specialized training to enable them to perform these functions with the various systems of the MSS. 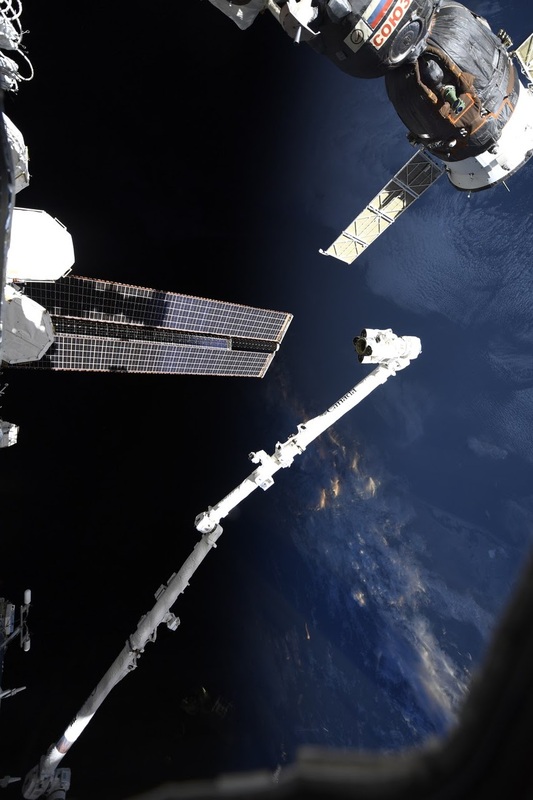 The MSS is composed of three components—the Space Station Remote Manipulator System (SSRMS), known as Canadarm2, the Mobile Remote Servicer Base System (MBS) and the Special Purpose Dexterous Manipulator (SPDM, also known as Dextre or Canada hand). The system can move along rails on the Integrated Truss Structure on top of the US provided Mobile Transporter cart which hosts the MRS Base System. The system's control software was written in the Ada 95 programming language.